Firmware update version 08.15 is for AppRadio 2 only. Available now! I wasn't aware of this but Pioneer apparently put out a minor firmware update for it's AppRadio 2 customers on May 24, 2012. Thanks to one of our readers who calls himself the Porthos Musketeer for bringing this to our notice. The update is available for download from Pioneer's website and as mentioned before you will need a USB flash drive to update your device. Read on for more on this. 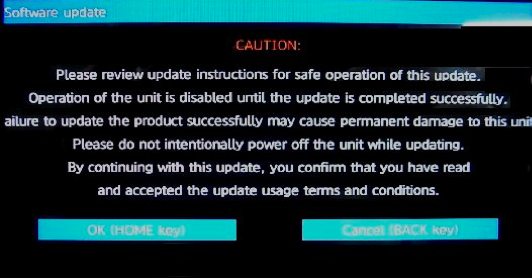 According to Pioneer, the 'important' firmware update version 08.15 is only for AppRadio 2 (SPH-DA100) units sold in the US and Canada. The same update was made available for European users the next day, i.e. May 25. From the description it looks like a minor update only with the only fix being a stability improvement for the rear view camera. I don't have a rear view camera connected to my AppRadio 2. Maybe it's something I'll hook up in the future. So this update will be useful eventually. Also, since I haven't updated my AppRadio 2 before, I'm curious to see how this works with the USB flash drive. I haven't installed the update yet but will do so later today. Detailed instructions are posted in a pdf file on Pioneer's website but here is a quick overview on how to update your AppRadio 2. - You will download the zip file from the links provided and unzip it before transferring it onto the root folder of your flash drive. The file has the extension .HAT (never heard of that one before). - Power on your device and unplug the USB cable connected to the AppRadio 2 cable and connect the flash drive to it. - The stereo will automatically detect the update and prompt you to install it. The home button will serve as the OK key. 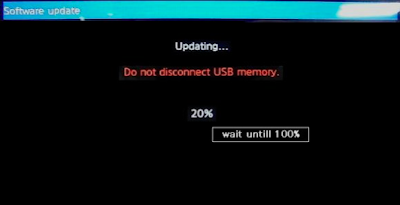 - Click OK to start the update process and wait till you're prompted to unplug the USB drive. - Reconnect the wires and you're good to go. Note: There should be no other devices (iPhone, iPod, iPad or any Android phone) connected to the AppRadio 2 during the update process. Let us know how this update process goes for you. Even if you do not have a rear view camera installed I suggest updating your device because as we have seen with previous firmware updates the links don't remain up for too long. And if you ever decide to have a camera put in you might not have this seemingly important update available. I hope all of you had a great Memorial Day weekend (those in the US anyways) and thanks again to all the past and present day troops for their service. Unit beeps a lot during the process, every time it hits a further %10, and continuous beeping when completed. I've tried 2 different thumb drives and keep getting "can't read update" message. Anyone else? Make sure the stick is empty and just had the firmware update on it? I formatted my USB stick just to clear off all the files so the .HAT file was there on its own. I know it's old, but did you solve this? Really frustrating...I just formatted three usb sticks and I keep getting this error. Boy I am sure glad I have to go back and rewire my Parking Brake bypass anyways. Now I have to hook up the iPHONE cable also! What a pain! The only thing I need it for is updates. GEEZ! I formatted 2 drives and just had the .hat file (16.8mb) and I get a message that says cant read file. Maybe a Mac problem? Yeah. 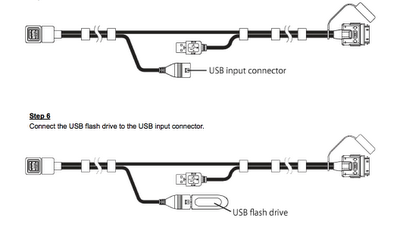 Make sure the flash drive is formatted to the FAT format. You can do this using Disk Utility on your Mac. And then copy the installation file to the root folder. Anybody have problem with virtual keyboard on yor Appradio2 ? for example: everything looks normal untill you want to type a street adress and the "z" letter is on the place on "y" and "," is switched with ".". Like on 214 scheme keyboard. Any ideas of fixing it ? Ive just updated on 8.15 and problem still occurs. Please help me. I was a bit disappointed in the update. I was hoping that Pioneer would address some of the known issues right away. Where do we submit issues so that Pioneer knows about them? ok so i did my firmware update to 8.30, only to realize that my ipod doesnt work anymore (8.30 is for ipod/phone 5th gen only) but it was a 2 file update. a "hat" file and a "yuk" file. im trying to go back to the older firmware "8.17" but there is only a "hat" file and no "yuk" file. so i did the hat file and its back to 8.17 for the mmd part of the upgrade but still on 8.30 for the sys upgrade because of the lack of both files. now my appradio2 is caught in some weird dimension where nothing plays from ipod or radio and it just diplays the "off" msg. how do i get fully back to 8.17 or earlier. because right now i have a $500 clock in my dash and thats all it is right now?!?! pleeeeeeease heeeeelp!!!!!!!!! I have the same problem as Brendan! I hope a 500 dollar clock as well! I need to downgrade the firmware as well! The downgrade is succesfull to 8.17 however it does not work at all! I need a YUK FILE! Please help! i have a question and would like to know how you guys bypassed your system? I used a standard auto relay by hooking up my stereos remote power, parking brake and ground with jumper. Now all I have to do is plug, unplug & plug back in my android to the hdmi/mhl so it thinks that I engaged the Ebrake twice the way it states to. I used a standard relay, just google (double din relay bypass) for schematic. 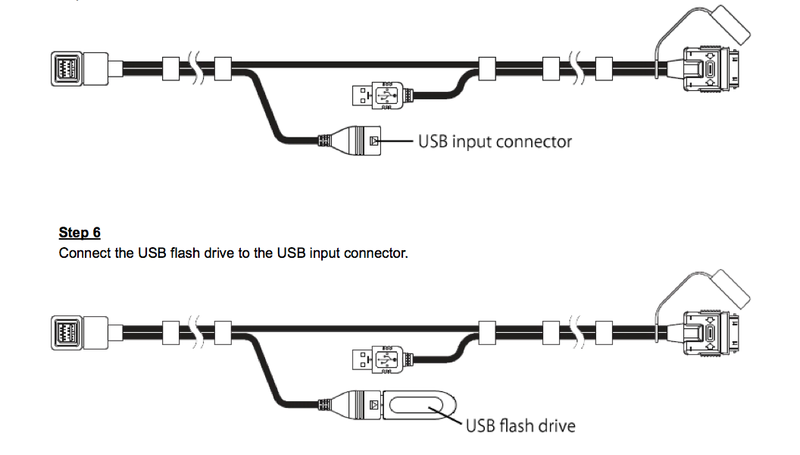 If you do it right all you'll have to do is plug in, unplug & plug back in your phone to the hdmi/mhl since appradios require the Ebrake engaged twice, and with this method the relay is activated through the mhl so it works perfect! anyone figure out the yuk downgrade problem yet? I having the same problem with the App Radio not reading the update file on my usb... I've tried everything people have said, and still no luck. I hate this radio now. Without a brake bypass its useless. I don't need to watch videos while I'm driving (its dangerous BTW) But I want to be able to use GPS even if it mirroring my Google maps, which I prefer actually.